Create a Baby’s 1st keepsake that will last a lifetime! Celebrate a child’s first letter from Santa for their 2nd or 3rd year with this letter designed specifically for children that are 2 or 3 years old. 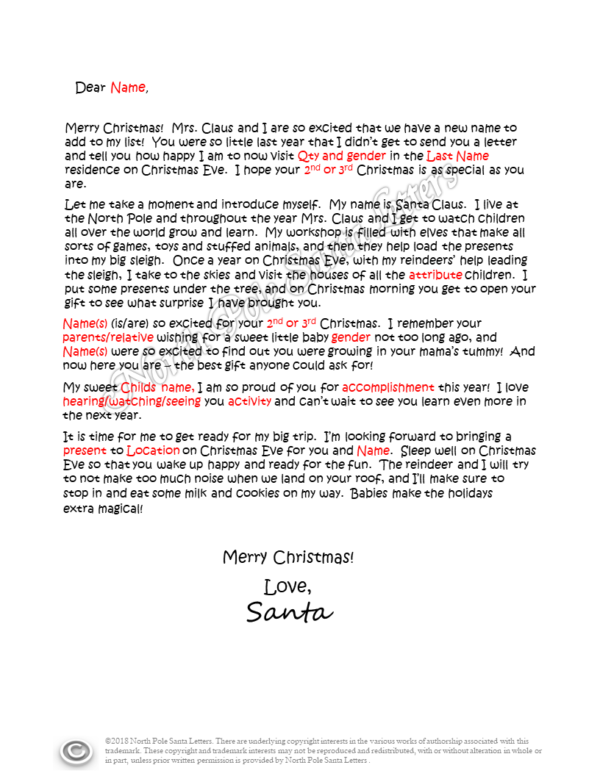 Send a Santa letter that children and parents alike will love to read when they grow older. Our Baby’s 2nd or 3rd Christmas letter highlights the excitement of family and friends in this sweet letter to celebrate a child’s 1st letter from Santa.